I read a lot of urban fantasy. Now that the genre has become mainstream, publishers are rushing to fill the shelves with new titles to satiate voracious readers. One would assume that's excellent news for a fan of the genre, however, the problem with the newfound popularity is a good amount of total crap is being published in order to keep up with demand. Okay, that might be a bit unfair. Let's try that again. The problem with the newfound popularity is that most of the current titles are just rehashing old ideas in uninspired ways. But when a truly unique and interesting story comes along, it's like finally being able to exhale after holding your breath when you were a kid. That's what reading The Daughter of Smoke and Bone by Laini Taylor was like, a relief; I had finally found something I could truly enjoy and immerse myself in without ever once thinking, "Haven't I read this story before?" Read more about The Daughter of Smoke and Bone and find out how to WIN A COPY after the jump! 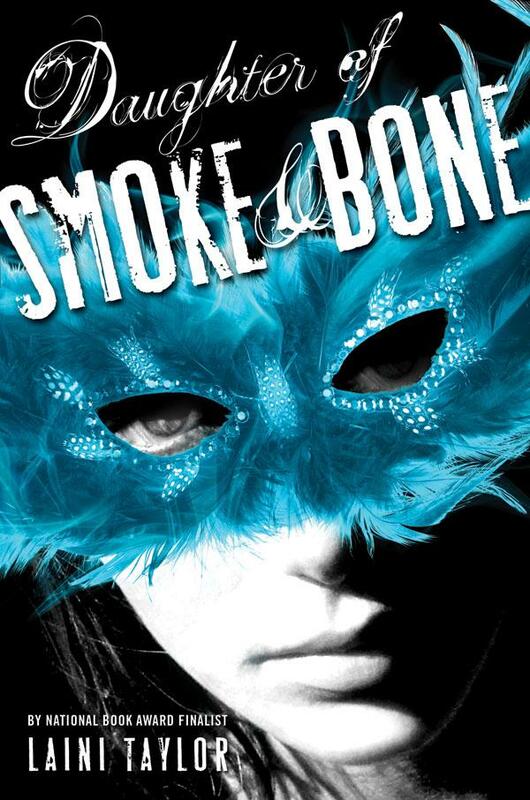 The Daughter of Smoke and Bone is the story of Karou, a young woman raised by a loving family of monsters in a secret shop that exchanges wishes for teeth. She keeps this hidden from her best friend and her classmates at a school for the arts in Prague. Though Karou's origins are a mystery to even herself, she's never been interested in solving it. She loves her life in the ancient town and treats the errands she must run for her family (fetching teeth from all around the world) with teenage disdain. Karou is forced into uncovering her roots, however, when an angel appears and attacks her in the streets of Marakesh and Prague, threatening the lives of her foster father and the rest of the monsters. Taylor's novel is a mix of urban fantasy, traditional fantasy, romance, young adult, and mystery but what I enjoyed most about the story was the her portrayal of the real world. The author made the mundane fantastic. 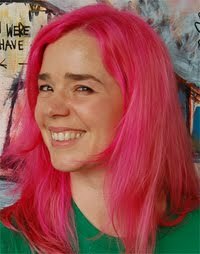 Karou's best friend Zusana is a puppeteer that creates wondrous puppets with feats of engineering. Their favorite hangout is the hidden Posion Kitchen, serving goulash amid old statues wearing gas masks. Viewing Prague and Karou's urban life through Taylor's words is what makes the tale so refreshing. I'm so glad this is just the start of Karou's story. To win a copy of The Daughter of Smoke and Bone*, just follow us on Twitter, Facebook or Blogger's Friend Connect. Don't worry if you're already doing so, your name will be included in the drawing. Remember, you can always up your chances of winning by following us on more than one social media site. We'll announce the winner next Monday. *Open to US and Canada addresses only. No PO Boxes, please. I loved this one too - it did feel like a breath of fresh air. I'm really looking forward to the next one. Nice review. I have been on the fence about this one, but your review really made it sound like a beautiful piece! I will have to check it out.